Chances are, if you are on social media, you have seen #MeToo, the hashtag people everywhere are using to share their stories and let people know that they have been victims of sexual assault, sexual harassment, and sexual bullying. Not only has this movement helped victims feel supported, but it also has made the statistics about sexual assault and sexual abuse become very real. No longer is the issue a gray area, but one that is now in bold print for everyone to see. People realize that this is an issue that impacts everyone. Not only are women and men in the public eye impacted, but the issue also has hit close to home as friends, family, neighbors, and coworkers share their stories. Overall, it has been an eye-opening experience for the entire country. And it has started a national conversation about sexual assault, sexual harassment, and sexual bullying that is long overdue. In 2006, Tarana Burke, an advocate for women in New York, coined the phrase "Me Too" as a way to empower women who had survived sexual violence. Then, more than a decade later, the phrase was reintroduced by actress, Alyssa Milano, to encourage women and men to share their stories as part of an anti-sexual harassment movement. The results have been phenomenal, exposing some of the nation's most powerful men in entertainment, politics, and sports. 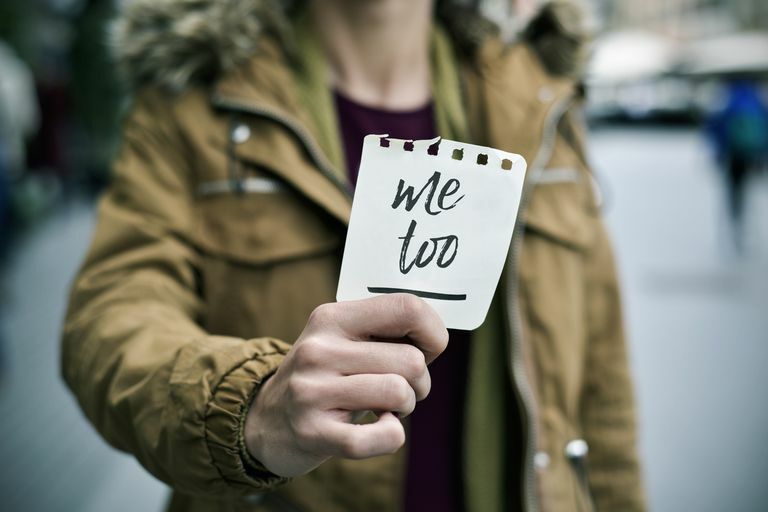 Milano, initially unaware of the phrase's origins, encouraged women to use the hashtag, #MeToo, on social media to create awareness and provide a sense of community among survivors. Little did she know that two simple words would be used more than 12 million times over the next few weeks, which signaled the significance of an issue that is often pushed under the rug. Milano's push to reintroduce the phrase was prompted by a New York Times article where Harvey Weinstein was accused of sexual harassment. In the beginning, Rose McGowan and Ashley Judd were the most vocal about Weinstein's actions, which included accusations that he forced women to massage him and watch him naked. He also is accused of promising to advance acting careers in return for sexual favors. Since then, more women have come forward with accusations about Weinstein. Aside from bringing awareness to the prevalence of sexual assault and sexual harassment, the #MeToo movement also has de-stygmatised the issue. In other words, it has made it safe for people to share their stories without fear or shame. It also has helped them realize that they are not alone and that there are many other people who have gone through exactly what they have been through. What's more, it has the country talking openly about an uncomfortable but very real issue. As a parent, you have the power to take what this movement has started and make it meaningful in your kids' lives. Not only can you talk to your children about what the #MeToo movement means and how it originated, but you also can use the experiences people share as teaching moments for your kids. Use it to educate them on what sexual assault, sexual harassment, and sexual bullying are and how to identify it in their lives and the lives of their friends. Ideally, talking about the #MeToo will help girls and boys feel unashamed and encouraged to come forward. It will empower them to say something if they are violated and speak up if they witness it at school or at social gatherings. Talking about the movement also can be a good tool for helping young people understand the difference between a healthy dating relationship and an unhealthy dating relationship—what is acceptable and what is unacceptable as well as what respect looks like. If you are like most parents, you recognize that this is the perfect opportunity to talk about an issue that is flooding social media and news outlets. But, you may not know exactly where to start. So, you put off having the conversation. You are not alone. In fact, according to the Make Caring Common Project, 76 percent of the young adults interviewed had never had a conversation with their parents about sexual harassment, misogyny or mature relationships. But you should not avoid the conversation just because it is uncomfortable. It is an important issue that needs to be discussed. Here are some suggestions to help you get started. Talk to both boys and girls. While statistics show that one in four girls will be sexually abused before the age of 18, they are not the only ones that can be sexually violated. In fact, statistics show that one in six boys will be sexually abused before the age of 18 as well. Meanwhile, a Science Daily study reports that one in four middle school students have experienced verbal abuse or physical sexual harassment at school. For this reason, both genders need to be aware of the issue and what it could mean for them. Never assume that the only conversations you need to have are with your daughters. Define sexual assault, sexual harassment, and sexual bullying. It is important that kids are able to identify the differences between sexual assault, sexual harassment, and sexual bullying. Having this knowledge is especially important when it comes to reporting inappropriate behaviors. This way, kids can correctly identify what has happened to them. Additionally, sexual harassment and bullying is so much more than just unwanted touching. It can include crude jokes, rumor spreading, cyberbullying, sexual gestures, obscene texts and phone calls and so much more. Finally, stress that both boys and girls can be sexually harassed, assaulted and bullied. Keep the conversation age appropriate. Before discussing #MeToo with your son or daughter, take some time to think about his or her age as well as his or her capacity to comprehend what you are about to say. And don't shy away from conversations with younger children. You just need to plan to revisit the conversation as they grow and mature. Also, keep in mind that the conversation you have with a 12-year-old will be very different from the conversation you will have with a 16-year-old. And the conversation you have with your college freshman will be very different than the conversation you have with your young adult. Discuss what consent means. In the past, the general rule was that "no means no." In other words, a girl had to say "no" in order to stop a boy's behavior. But this not always a good guideline, especially if you are teaching your son about consent. In some situations, a girl might be too drunk to say no. And in these cases, whatever happens, is not consensual. As a result, it is best to teach your sons and daughters that "yes means yes." In other words, both the boy and the girl need to verbalize that "yes" they are alright with what is happening. Additionally, caution your kids that saying "yes" to one thing, like touching, does not necessarily mean "yes" to everything that might follow. Each thing that a couple engages in requires consent from both parties. Be careful not to engage in victim blaming. Unfortunately, many people still wrongly believe that girls can prevent sexual assault or sexual harassment by changing the way they dress. This is not true or helpful. Also, do not embrace the idea of "locker room talk" or "boys will be boys." This line of thinking blames the victim and removes responsibility for bad behavior and places it on the victims. Additionally, girls and boys need to know that if someone violates them in some way, that it is never their fault. They are not to blame in any way and they will be believed and supported if they report something. Talk about healthy relationships. Too many times, young people do not understand what constitutes healthy dating behavior. Instead, they may tolerate emotional abuse, verbal abuse, name-calling and more because they see it in other relationships at school, in their community and in movies. Be sure you are talking with your kids about mutual respect and equality in relationships. Stress the fact that a healthy relationship should not make your child feel uncomfortable, afraid, humiliated, intimidated, ashamed or embarrassed and should always include respect and compromise. Talking about #MeToo is an important activity for every family. Not only do kids need to be equipped with basic safety ideas like knowing when to speak up, but they also need to know the dangers of sexual assault, sexual harassment, and sexual bullying. Be sure you also are teaching your kids about setting boundaries and not keeping secrets. By having regular conversations with your kids, you are taking an important first step in not only keeping them safe but changing the way the next generation thinks about this important issue.